One of the most common questions you’ll be asked in, and out of the gym is “How Much Do You Bench?” and with good reason. The bench press is most well known and respected exercises you can do in the gym – and it makes all the difference to your progress. 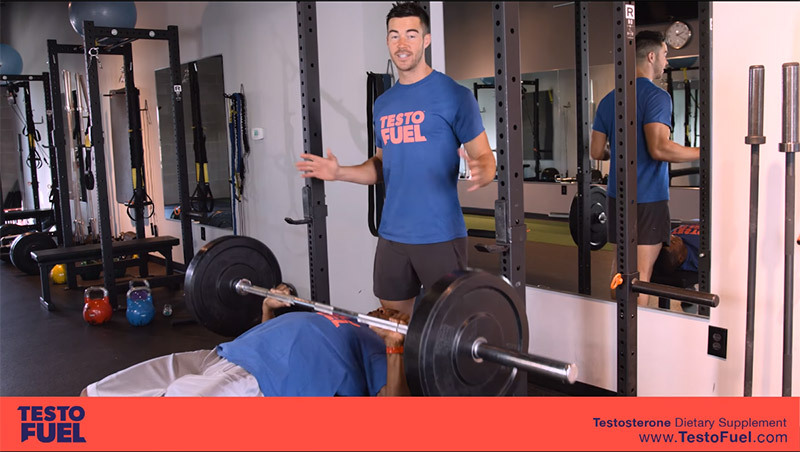 In the short video above Brad and Jason cover the main points on how to bench press for beginners and the correct way to accomplish the lift. Contrary to popular belief, benching works more than just the muscles in your chest. One of the great things about the bench press is that it is a compound lift. 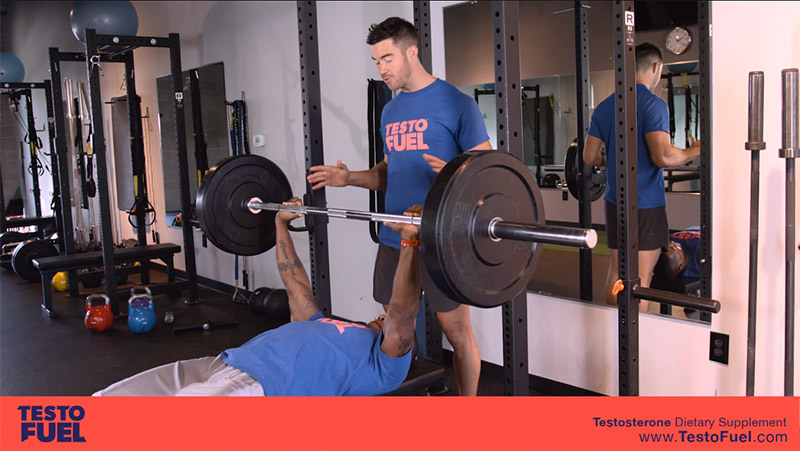 This means it is a lift that involves multiple joint movements which engages numerous muscle groups – and this is key for producing testosterone. Heavy compound lifts like Bench Press and Squat have been seen time and time again to increase testosterone levels in male subjects . As the bench press has turned into more of an ego lift over the last few years, the temptation is to go as heavy as you can every session. Don’t – You will have an injury. For the best results start with a weight that feels comfortable, or even the bar so you can first learn the correct technique before moving on to something heavier. PRO TIP #1: Squeezing your shoulder blades together before grabbing the bar allows you more flexibility and control over the weight. PRO TIP #3: If you’re trying a new weight make sure a spotter is on hand to help you in case you can’t lift it. If you’re looking to seriously develop your upper body, there’s no better option than bench press for beginners in lifting. Working multiple muscle groups in the your torso and arms, bench press is exactly what you need to make progressive gains in the gym. What’s more, it’s an excellent workout for boosting testosterone levels as a compound lift. When learning the ropes, the best advice is to start light to learn the technique, and then ask somebody to spot you as you go up the weight. Make sure to always make the bar touch your chest, and don’t let your ego get the better of you. However, if you do want to make gains at a faster rate, the natural ingredients in TestoFuel are exactly what you need to get you there. See the full range of ingredients in TestoFuel here and why they help promote testosterone levels and faster muscle development. Hickson RC, Hidaka K, Foster C, Falduto MT, Chatterton RJ. Successive time courses of strength development and steroid hormone responses to heavy-resistance training. J Appl Physiol (1985).1994;76(2):663–70.